Release Week Contest- Win a Signed Paperback! We’re excited about our paperback release, as you might have noticed. To celebrate, and hopefully get other people excited, we’re holding a contest to give away a personalized, signed copy of The Slipstream Con. Leave a comment on any of our release week posts, between now and 11:59 p.m., Sunday, March 11, 2012. Make SURE to include your email address. Comments without email addresses will not be added to the drawing. If your name is pulled by the random number generator (I used Random.org, if you’re curious.) I will contact you and get a shipping address to mail your book to you. If you’d like to comment, but aren’t interested in winning the book, feel free, but please indicate that you don’t want to be added to the pool of contestants. Thanks! Please share the contest far and wide. If we get more than 100 commenters, we’ll give away -two- (2) copies of the paperback! 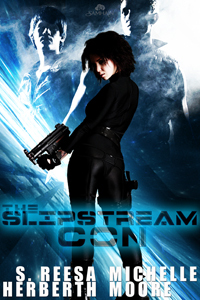 This entry was posted on Monday, March 5th, 2012 at 19:06	and tagged with contests, paperback release, release day madness and posted in Announcements, Contests, The Slipstream Con. You can follow any responses to this entry through the RSS 2.0 feed.